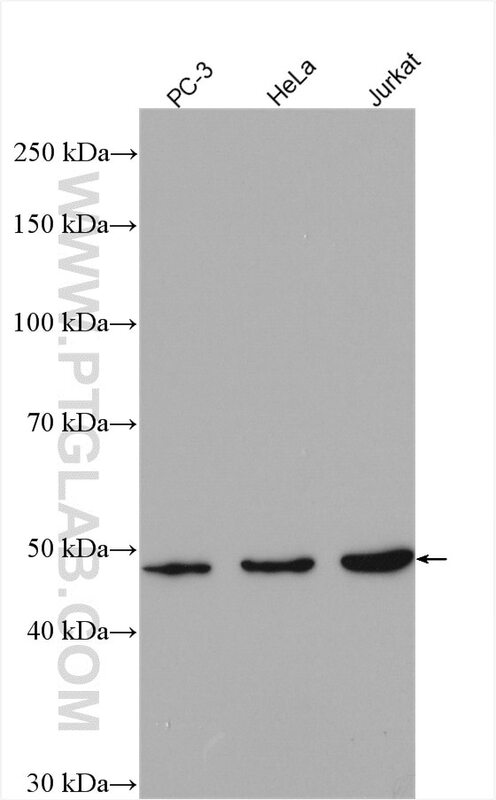 IP Result of anti-ARP3 (IP:13822-1-AP, 4ug; Detection:13822-1-AP 1:1000) with mouse spleen tissue lysate 4000ug. ARP3 (also known as ACTR3) is a major constituent of the ARP2/3 complex that is necessary for nucleating actin polymerization at filament branches. ARP3 localizes to the lamellipodia of stationary and locomoting fibroblasts. Overexpression of ARP3 has been reported in several types of cancer cells. 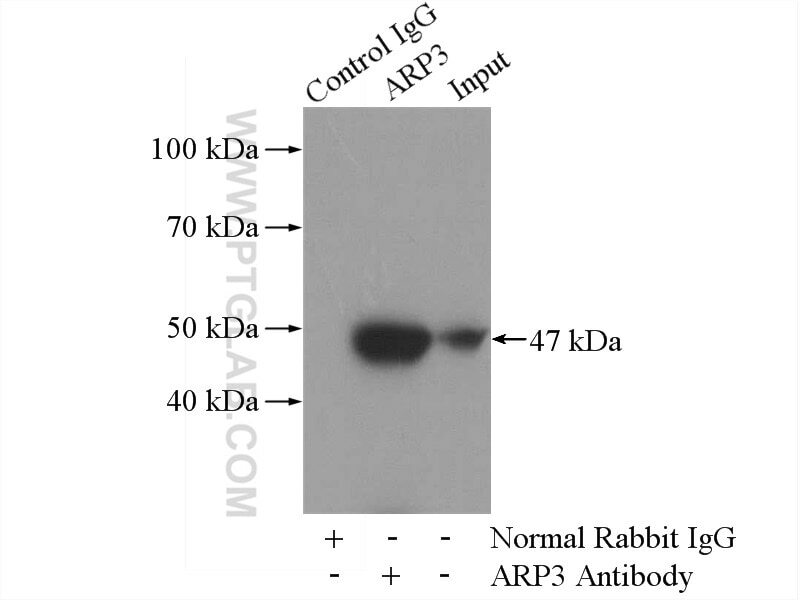 This antibody recognizes endogenous ARP3 and may cross-react with ATCR3B. MRTF-A activation by competition with WH2 domain proteins for actin binding. Fluoride altered rat's blood testis barrier by affecting the F-actin via IL-1α. N-wasp is required for structural integrity of the blood-testis barrier.